In the course of centuries the naïve self-love of men has had to submit to two major blows at the hands of science. The first was when they learnt that our earth was not the centre of the universe but only a tiny fragment of a cosmic system of scarcely imaginable vastness… the second blow fell when biological research destroyed man’s supposedly privileged place in creation and proved his descent from the animal kingdom and his ineradicable animal nature… But human megalomania will have suffered its third and most wounding blow from the psychological research of the present time which seeks to prove to the ego that it is not even master in its own house, but must content itself with scanty information of what is going on unconsciously in its mind. — Sigmund Freud (1916) Introductory Lectures on Psychoanalyis (1916), in James Strachey (ed. 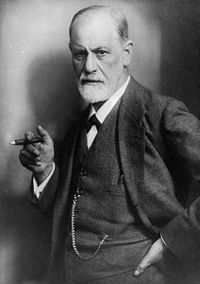 ), The Standard Edition of the Complete Psychological Works of Sigmund Freud (1963), Vol. 16, 284-5.